Those who watch the streaming service Twitch regularly — perhaps to watch our live podcast — are likely already aware of their partnership with Amazon. Users who link their Twitch account with an Amazon Prime account get access to all kinds of cool stuff — games, skins, and other goodies are frequently available. Called Twitch Prime, this gives all kinds of fun perks, including letting you subscribe for free to one partner channel a month. Now Overwatch is getting in on the action, by offering up a few free Loot Boxes to Twitch Prime subscribers. These aren’t just any crates, though. The new Golden Loot Box guarantees at least one legendary item. You can only get one of these special Golden Loot Boxes with your Twitch Prime subscription — for now. It stands to reason they’ll likely use these for special promotions in the future, so keep your eyes peeled. You can even try out Prime for free for thirty days, if you’re really desperate for that single box. 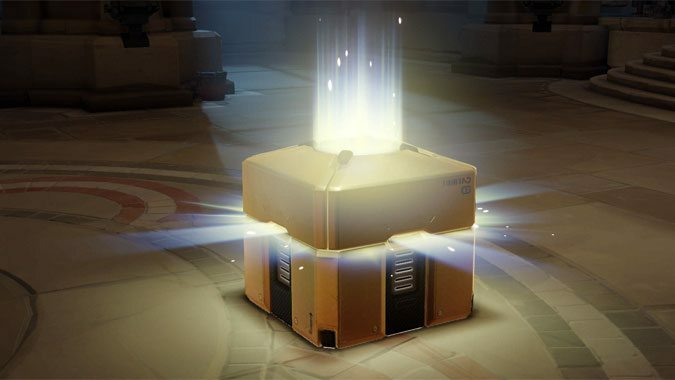 If you stay subscribed to Prime you’ll get ten additional normal Loot Boxes too — five from August, and five from October. Getting a whole bunch of duplicate sprays isn’t that bad if you’re going to be subscribed to Amazon Prime anyway. There are also plenty of things from other popular games to collect every month. There’s some exclusive skins for PlayerUnknown’s Battlegrounds right now, for instance. So if you’re already a Twitch Prime subscriber, go grab your free stuff! If not, maybe now’s the time to consider taking the jump. Especially if you get a Winston legendary. Now that’s jumping in style.